Today, a multitude of consumer data is at the disposal of brands, enabling them to build more meaningful and valued customer relationships. However, this is far from the truth – various research sources reveal that 40% of the Fortune 500 companies will disappear in the next decade, and that most people would not care if 74% of brands permanently disappeared. In today’s digital-focused society, there are very few brands that consumers are actually concerned about. These brands include the likes of Google, Facebook, Apple and Amazon. What is so special about these brands that make people care about them? It is the fact that they offer real value to customers, and as a result are strongly embedded in their daily lives. Two of the world’s top brands, Coca-Cola and McDonald’s, are reporting an average yearly decline in value of 5%. The decline is driven in part by broader societal trends as more consumers adopt healthier lifestyles. To ensure sustainable growth, brands need to start focusing on securing a ‘Share of Life’ throughout a customer’s day, week or month. “Share of Life’” demonstrates a far closer customer relationship today and in the future, compared to traditional battles of market share fought through advertising wars. Today, deep consumer involvement is one of the most important factors influencing brand growth. ‘Share of Life’ needs to be understood from a “micro-need” perspective, which means that brands should offer value and relevance in specific occasions that may have a varying set of needs. To ensure they provide value and relevance, brands must focus on the customer decision journey – the process taken by consumers to eliminate brands from their consideration set in their decision to purchase a product. Adopting the Entangled Marketing business model will inspire CMOs to better define their future strategic direction. It will ensure that brands stay true to their part of the exchange between brand and consumer, while clarifying the marketing and communications role. Such a strategy will succeed best if the CMO and CIO are closely aligned; entanglement cannot exist at scale without technology. Still, a strong marketing strategy should also be rooted in a truly value-centric philosophy, on meeting customer needs at all touch points of their digital decision journey. The entangled marketing business model is not only a framework, but also a mindset. The core of this mindset is the principle of deeper consumer engagement combined with eliminating ineffective and wasteful marketing efforts. Ultimately, an empowered consumer and an empowered brand together will result in a truly mutually rewarding relationship in which consumers themselves choose to get involved with the brand. Today, consumers expect consistency in a brand’s personality and story at all touch-points. 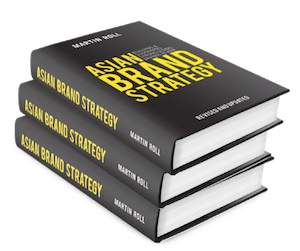 The brand story should effectively translate into a synonymous brand experience. Consumers don’t buy “brands” anymore; these days, they buy “experiences”. An effective and impactful story can only translate into meaningful and memorable experiences when brands start the entanglement process by involving their customers in their story. Customers need to be treated as participants, not spectators. The advent of disruptive innovation concepts like co-creation and crowd-sourcing originated with the idea of involving the customer early in the brand building process. Brands can only create a sense of shared ownership and inspire creativity through this participation process. Strong, insightful and dedicated marketing helps brands in designing and implementing ways that the customer can participate in the brand. However, being involved is one thing. Customers also need to be able to see that result in a meaningful and impactful way. Entangled marketing is marketing that is simple, focused, and differentiated. It also enables the core brand story to be communicated with value to a brand’s target customers. In a digital world of endless possibilities, entangling customers in brands will be the way forward for companies to successfully engage customers. This article appeared on Vertic Blog in June 2016 in English. Read the full article: Vertic Blog – Can An Entangled Marketing Model Enable A Brand To Survive In A Digital-first World? Download PDF of the full article here: Martin Roll – Vertic Blog – Can An Entangled Marketing Model Enable A Brand To Survive In A Digital-first World?